Storyline: Auggie and Drew are a couple of guys who have been at the college they are at longer than most students because they spend most of their time throwing parties and charging people to come and other schemes. But when the Dean grows tired of their escapades he graduates them. 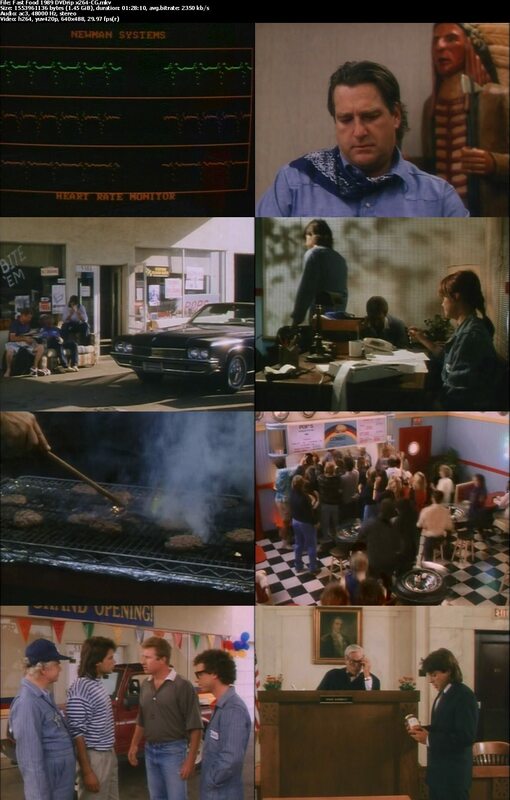 They go to see Drew's cousin, Samantha who runs her family's gas station and she tells them that the owner of a fast food chain wants to buy the station. Drew reminds her that her father had hopes and dreams built around the station. When she sees how obnoxious the owner is, she decides not to sell. Auggie thinks they should open their own restaurant. He goes to the bank and gets a loan but only by putting the station up as collateral. They open but things are slow. But when a sorority at the college hires them, Auggie decides to put a formula one of their college mates develop which is an aphrodisiac. And pretty soon business is booming. And the owner who in addition to not taking the rejection well, wants to know why they are doing so well. So he sends one of his spies to find out.